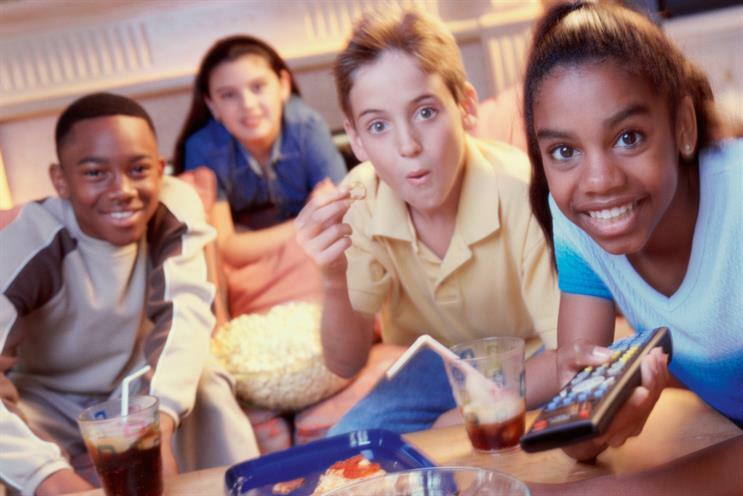 Four- to 15-year-olds are shunning the TV set. What are the implications for agencies and broadcasters? It has been mooted for some time, but the trends can no longer be ignored: the TV set is rapidly turning into a device for older people as the youth turn to iPads, laptops and smartphones. Viewing on TV sets by children and young adults is declining sharply, slumping 22 percentage points between the first half of 2010 and the first half of 2014 for four- to 15-year-olds, according to the analyst Claire Enders at last week’s Royal Television Society conference. The fall over the past year has been particularly steep, with viewing dropping about 12 percentage points among this age group. In the 16-34 group, viewing fell 15 percentage points between 2010 and 2014, and dropped 10 percentage points among 35- to 54-year-olds. Only for the most senior age group of 55-plus has TV set viewing held up, with a fall of just 1 percentage point. The figures, from Enders Analysis in association with Barb and InfoSys+, show average daily viewing times and include catch-up and time-shifted viewing. Michael Underhill, an analyst at Enders, says many children previously had TV sets in their bedrooms, but this has declined markedly since digital switchover, completed in 2012, which made the sets redundant without an expensive set-top box. Instead, parents bought their kids laptops, iPads and smartphones. Since parents tend to call the shots over what to watch on the main TV set, children often watch content on other devices, either with headphones in the living room or in other parts of the house. The threat for traditional broadcasters is that once someone starts viewing on an internet-connected device – even if it’s a TV show – they are more likely to surf away from TV content and visit the likes of YouTube or Vice. Underhill believes youth disaffection is, in the short term at least, driving up spot prices for advertisers, as they need to buy more ads to reach similar numbers of people. "It is not great for brands, but it is good for ITV and Channel 4," he says. Underhill concedes that, while older audiences tend to be wealthier and have higher disposable income, which is attractive for advertisers, many brands continue to prize hard-to-reach youth audiences. Barb will soon start tracking TV viewing on iPads and Android tablets. Meanwhile, TV’s promotional body, Thinkbox, argues that TV is still the dominant youth medium when you consider time spent and reach. Starcom MediaVest Group has been tracking the decline in TV-set viewing for some time. Its UK trading director, Chris Locke, says: "It is the speed of change you have to predict – is it the same decline per annum or will it slow down?" He quotes figures showing that, since 2010 (new Barb panel), TV has seen a commercial audience decline of 3.2 per cent. The BBC accounts for 25 per cent of the total fall, driven by its iPlayer development. "If you look at actual minutes rather than indexes, the trend appears much smaller," he explains. Locke says the agency plans ad campaigns by screens rather than TV. The more TV ratings it buys for a campaign, the more online video will be included in the TV plan. He adds: "Video on demand works at reaching light TV viewers more cost-effectively than more TV or TV alone."